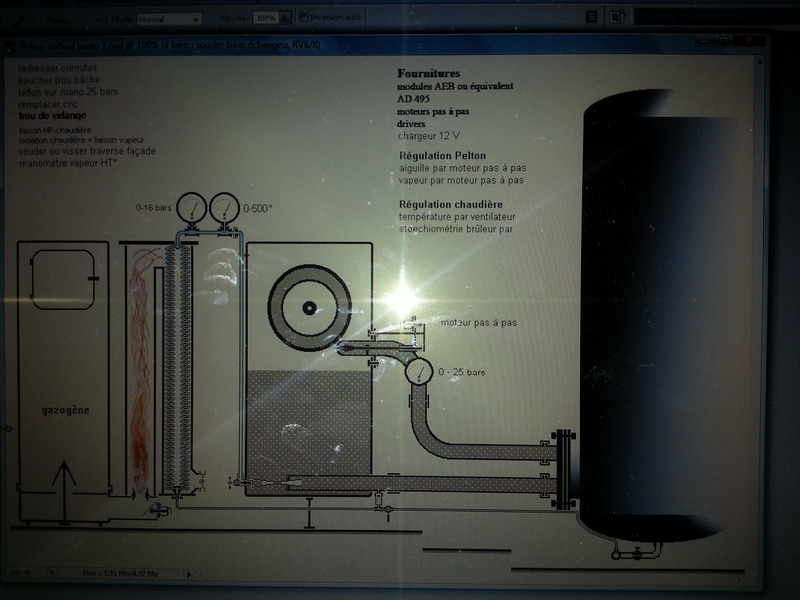 New way - wood pellet and steam - Charcoal Gasification - Drive On Wood! knowing that pellet already requires a lot of energy to make it. 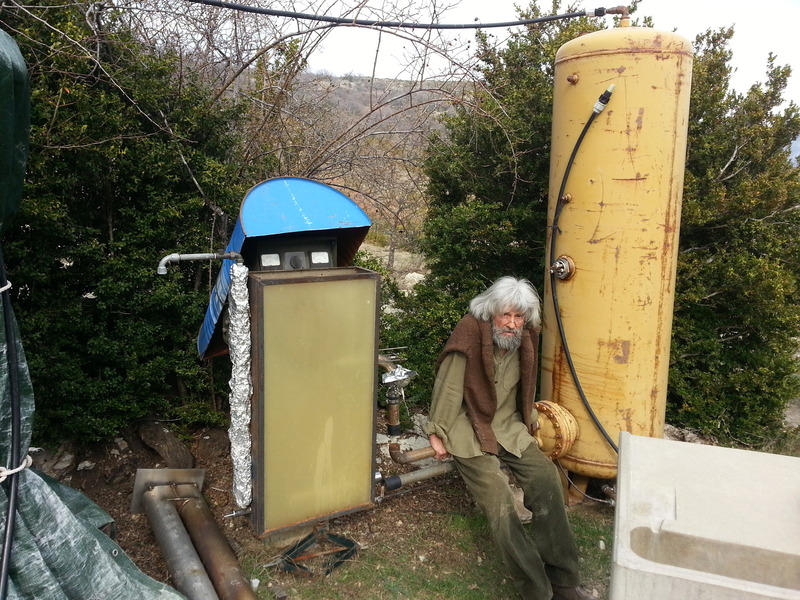 here is a realization made by diogenes of the nave of the fools in Sisteron in France, with a pelton wheel, but it only worked a few minutes, the production of steam was under dimentionné. with an steam generator of 200kg/h of thermal power of 140Kw/h you can obtain an electric power of 50Kw/h. So we get 35% efficiency with your process, the gasifier with wood and an engine is the same result, the engine for a limited time, your process and could be more robust, but it still remains energy spent to make the pellets, which I think does not give a favorable balance sheet, but I wish I was wrong, because it’s a great process. Also for make diesel or charcoal you spent energy. The difference is great of simple design and the noise near to zero!! You can increase simply the efficiency with new combustion technology and because you cut gasification process. My examples are based on normal steam pellet generator that you can buy in china and they use normal and incomplete combustion. In all cases you change scenario … from endothermic engine to hydroelectric generator in loop mode. Now it only remains to build a semi industrial model to validate this concept, the experiment has often shown me that the calculations obtained was often difficult to achieve in practice, last night, I read articles on the injector giffard, and although it is indicated that its output is around 30%, its setting requires a lot of dexterity, so having a demonstrator is paramount, if not already many people would have made a fortune with this technology, but an innovation n ’ is not to be excluded to succeed. , only the KW / h obtained at the end of the chain with the consumption of fuel gives its feasibility. Giffard injector is just the medium for connect the steam with the water but the complete system is able to obtain water in pressure also when giffard injector don’t run. Is all builded!! The main problem is security and cost of system… what is the cost of complete 50/70Kwe/h generator with propane liquid including the turbine?